Racecourse Road is not a good place to go for coffee; there are not many places that can do a passable long black. You can find dining, a Coles Metro and occasionally even large numbers of drunk people with a temporary interest in horses, but finding a good coffee is harder. Unless you go to a small espresso bar called Fonzie Abbott, just next to Vagelis. Fonzie Abbott is named for the first pet and first street that one of the owners lived on, just like the pornstar name meme. I can only assume that this is somehow related to the rooster in their logo. 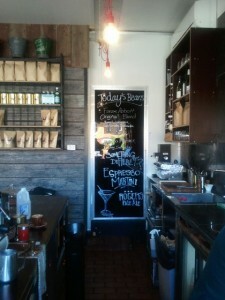 The cafe is more of an espresso bar, with a small footprint and not too many seats. The coffee they serve is not just the best on Racecourse Road, but compares well against cafes in other areas too. Fonzie Abbott uses both blends and single origin beans, with the single origin beans changing regularly. There are a few light meals and a selection of beers available as well, and apparently they also do Espresso Martinis on Fridays. There are not many places on Racecourse Road that can do good coffee, and fortunately Fonzie Abbott is an exception. 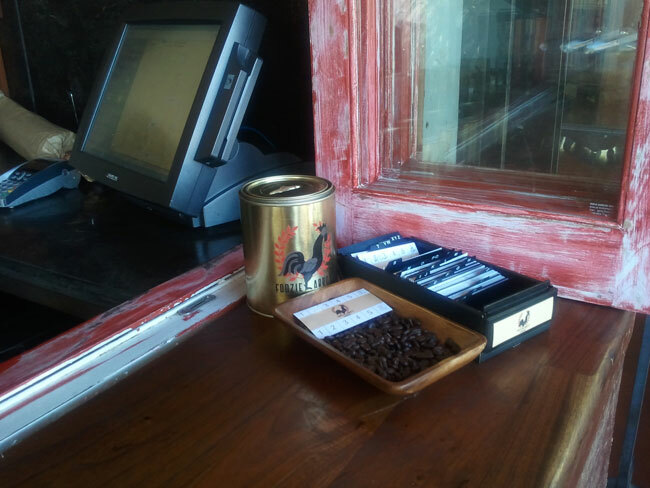 The decor tends towards hipster, with its second-hand aesthetic and the mix of blends and single origin beans. It is my pick of the street if you want a good coffee, long black or otherwise.